The start of spring has brought little respite for the NHS in England, with A&E departments still struggling. One in seven patients spent longer than the four-hour waiting target figure in A&E in March - only marginally better than the situation seen during winter. It comes amid mounting concern about the pressure in cancer care. That data lags behind the A&E figures - it only covers the winter months - but shows nearly one in four patients waited longer than they should. That is a record low - as the BBC reported last month - since records began 10 years ago. Reality Check: Is Scottish A&E outperforming England? Long waits are also being seen in other parts of the UK, with nearly four in 10 patients waiting more than two months for treatment to start in Northern Ireland. Performance is better in Wales and Scotland, but both are still missing the target to see cancer patients. Dr Nick Scriven, of the Society of Acute Medicine, said: "This has been and continues to be an extremely challenging time for urgent care in the NHS, which has been overlooked amid the chaos of Brexit and the smokescreen it has created." He also warned that the situation could get worse even though winter has ended. "My major imminent concern is that hospitals are working flat out at the moment and we have a looming spell of bank holidays, when many support services will not be functioning, heaping up the already relentless pressure." The warning comes as the NHS is paving the way to scrap the four-hour A&E target in England. 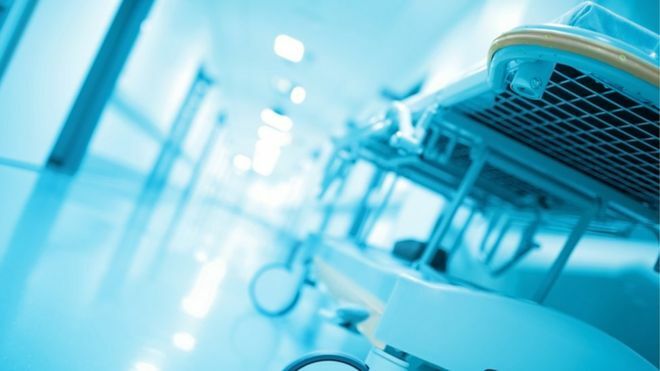 Next month, 14 hospitals are to start piloting new ways of measuring A&E performance, which will include one-hour targets for the most seriously-ill patients. Bosses believe the four-hour target is outdated and distorts priorities because it does not differentiate between those with minor and major conditions, but emergency doctors have called for the target to be kept. Meanwhile, there are more than four million people on the waiting list for hospital operations, such as knee and hip replacements. That is nearly double the figure a decade ago. But Pauline Philip, of NHS England, said hospitals were seeing rising demand, praising staff for working "tirelessly" to care for patients.